Lot Size: 20473sq. ft. 103ft x 190ft "Rectangular"
Great lake lot in a great area in the Laumans Landing Subdivision. 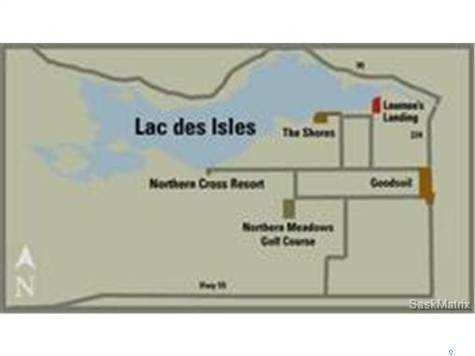 This subdivision is on the east end of beautiful Lac des Isles in the Meadow Lake Provincial Park. This lot is serviced and ready for your enjoyment. Ask your Agent for details on the services. The property has a large shed to store all your extra items. Also a deck for your RV location. Check with your Agent for Zoning bi-laws on the property.